Who already know about this salon? Yes, One Piece salon becomes talk of the town at the moment. In my case, most of my friends talking about this salon and ask me about my hair cut experience there since they had 50% discount until last January. And now they are holding a promotion on groupon. 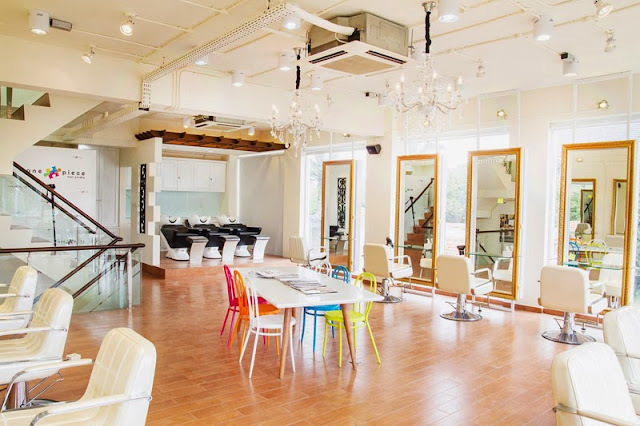 You can get hair colouring / silky straight / rebonding / digital perm with 50% discount that accepted in both One Piece salon branch, which is Kelapa Gading and Central Park. I don't own all those photos above. 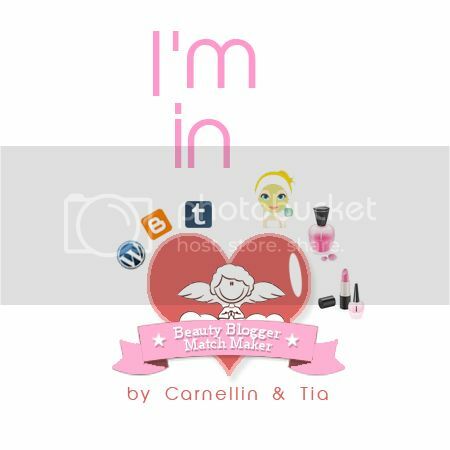 All photos are linked to the credit of photos. 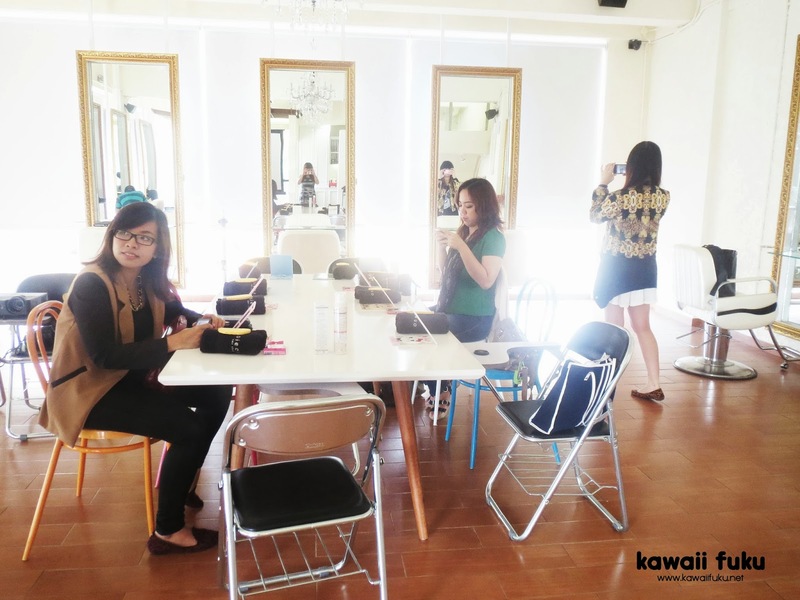 Here's the inside of One Piece Hair Studio Kelapa Gading. It's really nice and cozy, isn't it? This branch is kinda different with One Piece Central Park since it didn't attached with a mall (FYI, One Piece Central Park is inside Centarl Park Mall). 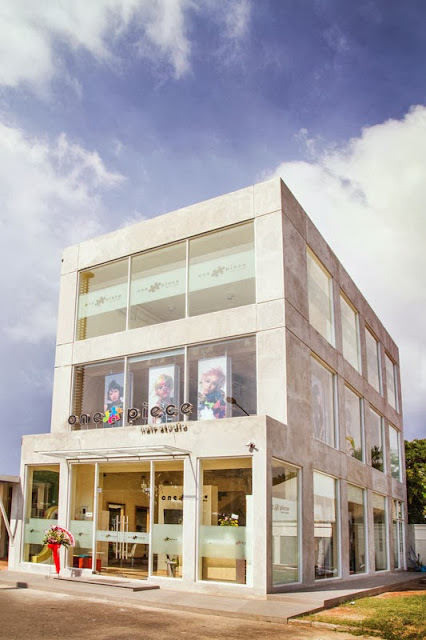 One Piece Kelapa Gading has its own building, located in Boulevard road. Search on your waze or google map, it already has a point map. 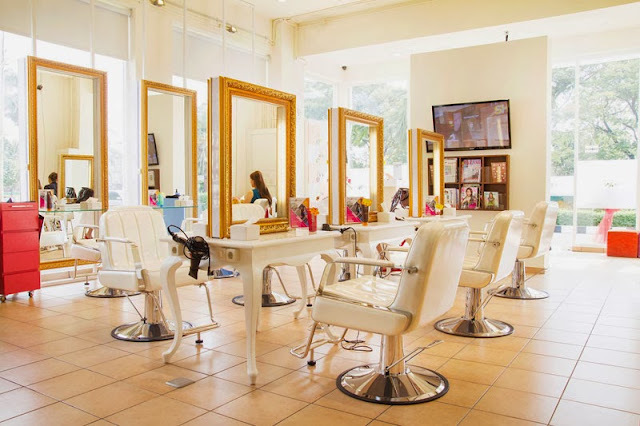 Or in case you didn't get it, this salon is located near Don Bosco school and Al-Azhar school. 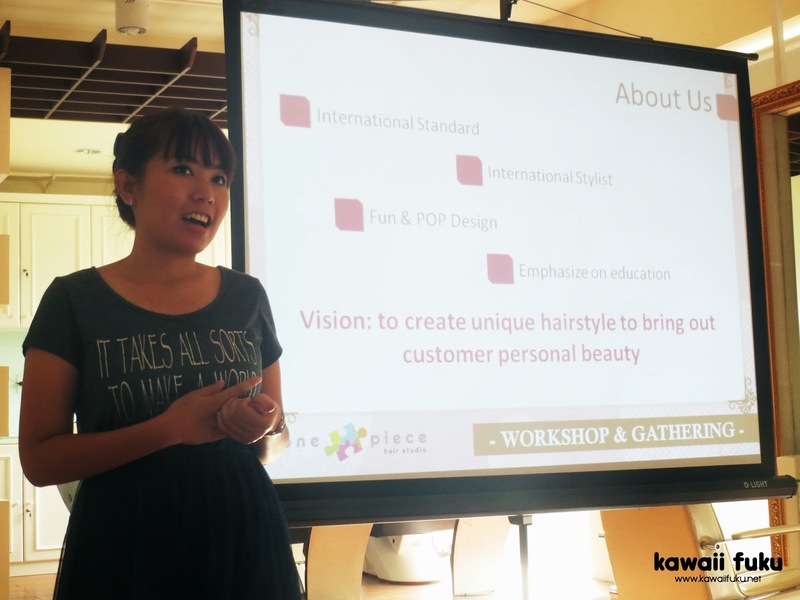 I was invited to join their workshop at One Piece Kelapa Gading. It's about how to style your hair properly at home, so you can do it by yourself at home. 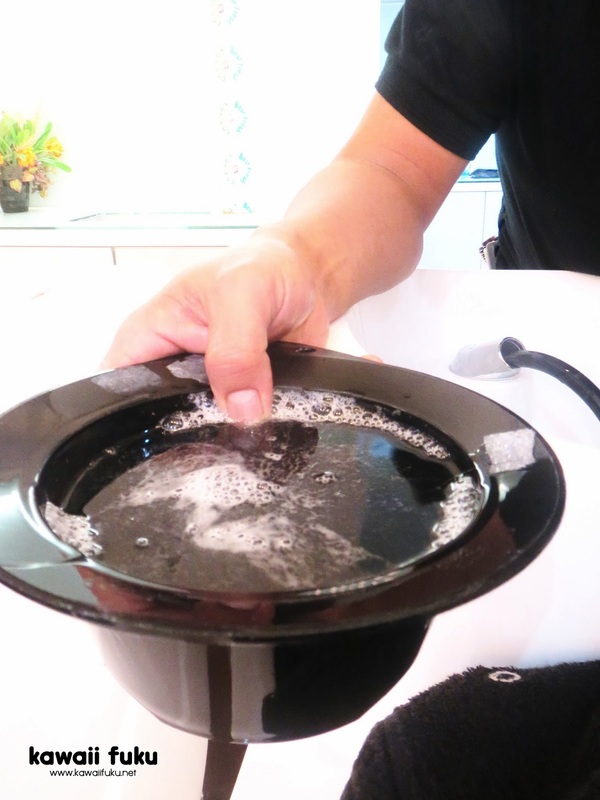 This CWS system is different from usual washing hair at common salon. 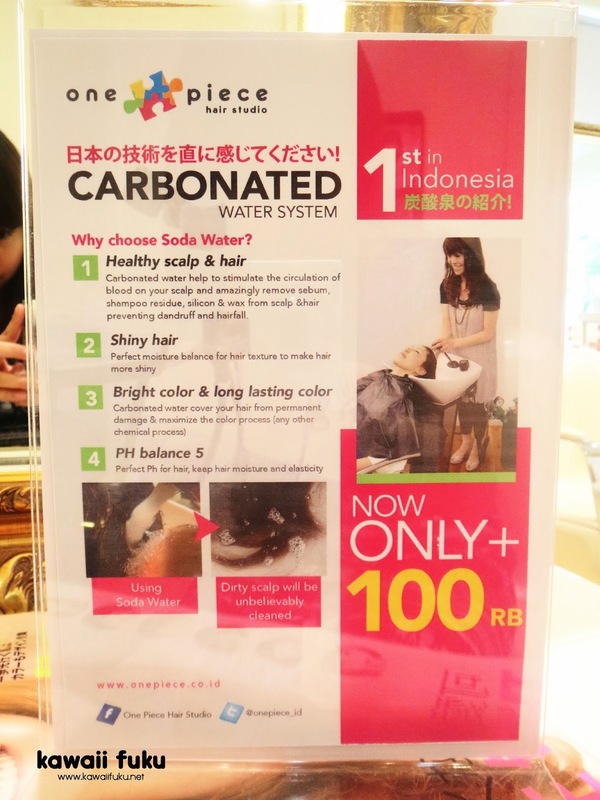 One Piece using carbonated water to wash our hair. Then what's the difference between carbonated water and tap water? Well, as you can see the dressing table is so sweet and kinda victorian style with big mirror. The staff even gave me a glass of mint flavoured water and some hair style books. This is the water from my CWS washing process. It looks dirty (contains my shampoo residue, I guess) because CWS can perfectly clean up my hair from shampoo residue and other dirts on my hair and scalp. I also got a chance to try this Soda Foam and Sparkling Gelee. These products are sold in every One Piece salon. And FYI these are face products, though Sparkling Gelee can also be used for hair. It looks like whipped cream and it does feel like whipped cream. 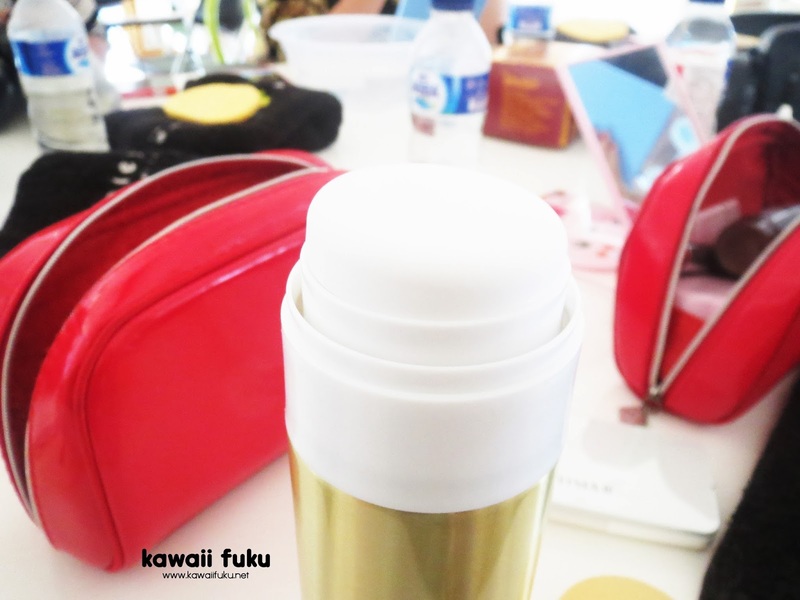 It has same function with cleansing foam. 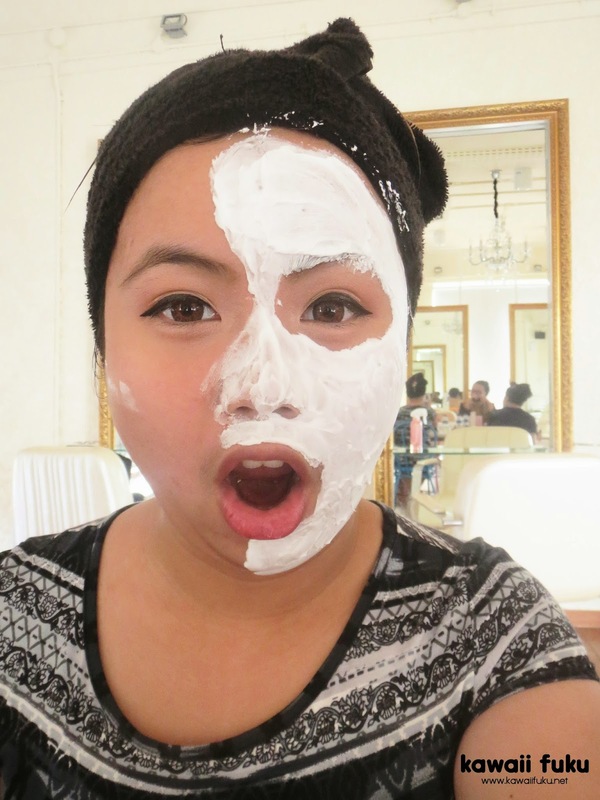 When I apply soda foam onto my face, it gave me tingling sensation. And by the way, it smells nice. Its texture is like a gel with transparent colour. 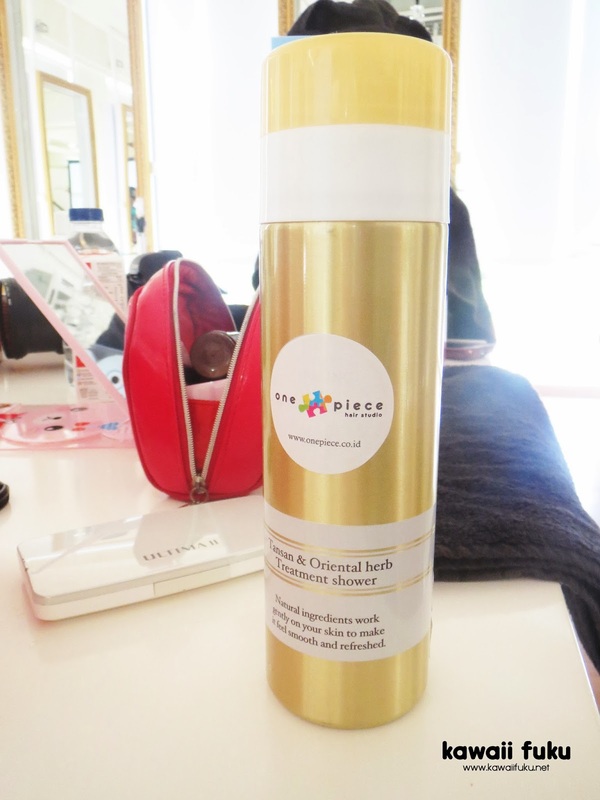 The function is to moisturize our skin and also help to maintenance our hair. Surprisingly, it absorb quickly on my skin right after I apply it onto my face. So this is me with soda foam on half of my face. And this is me after using Soda Foam and Sparkling Gelee. And after that, I got a chance to try this hair tonic. This one is different from common hair tonic that sold in market. As you can see, it has no hole to pour the tonic. It has a unique pushable cap. How to use? Well, just press the cap onto your hair scalp and the tonic will seep onto your scalp. What I love from this product is it gives cooling sensation right after the tonic seep on my scalp. 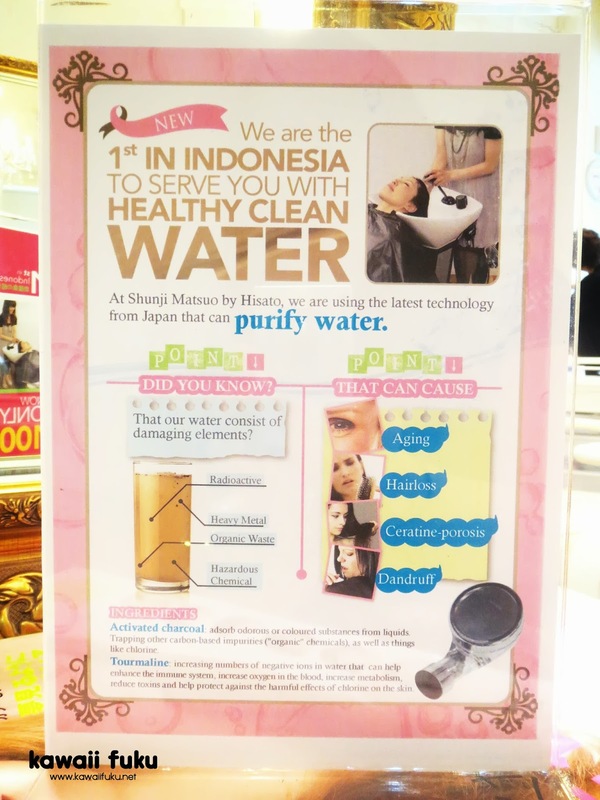 And after playing around with those products, finally we got an introduction about One Piece salon and its service. Then we watched a demo how to style your hair. 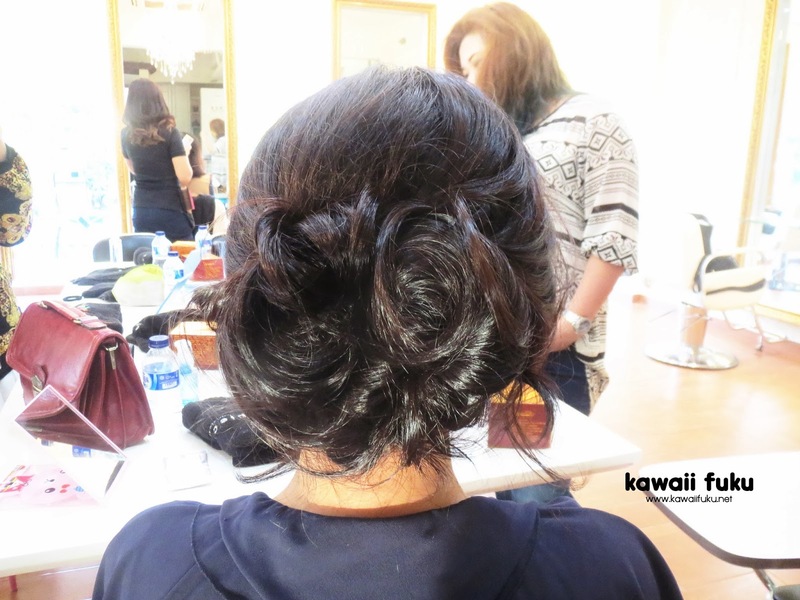 The staff said that this one is such a simple hair styling that can be done at your home by your self. 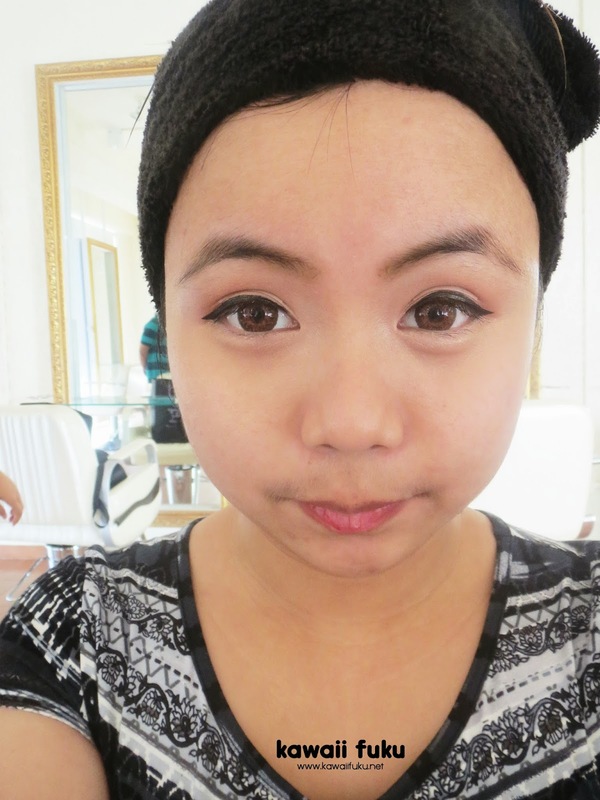 But hey, I don't think so (because I can't done it perfectly if I styled my hair by my own HAHA). 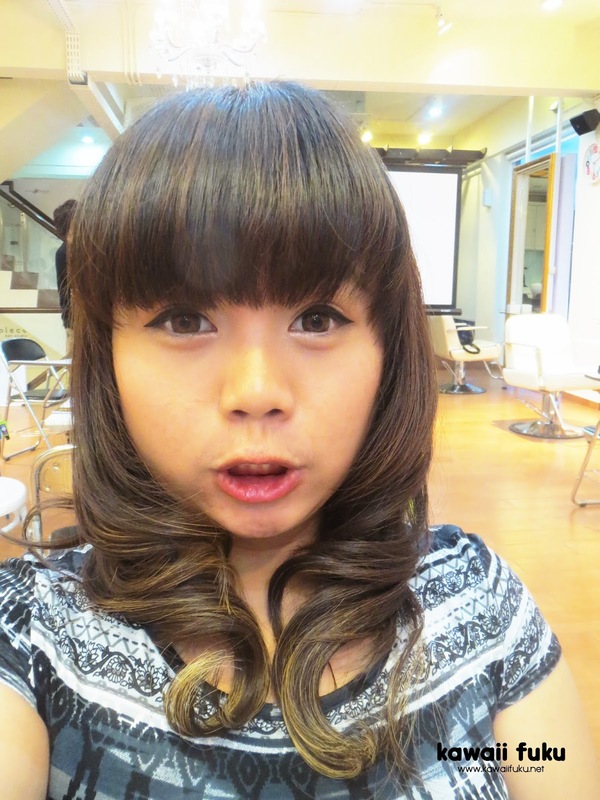 Basically ms. Pipit (who done this demo) teach us how to blow dry our hair in the right way and do a simple hair styling. She curled the model's hair with 32mm ring and make some hair twists then hold it with bobby pin and hair spray. And voila..! Here's the result. 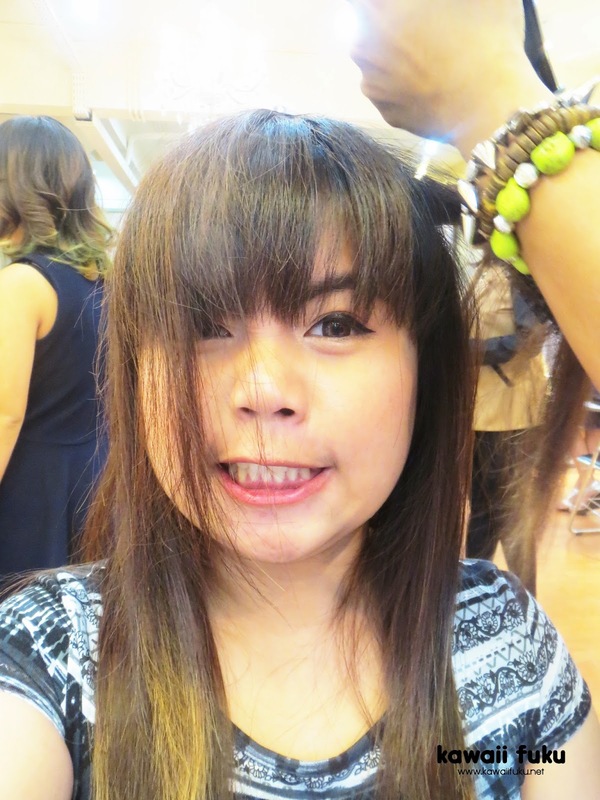 I also got a free hair styling which done by the hair stylist. And ta daa...! Here's my curly hair. 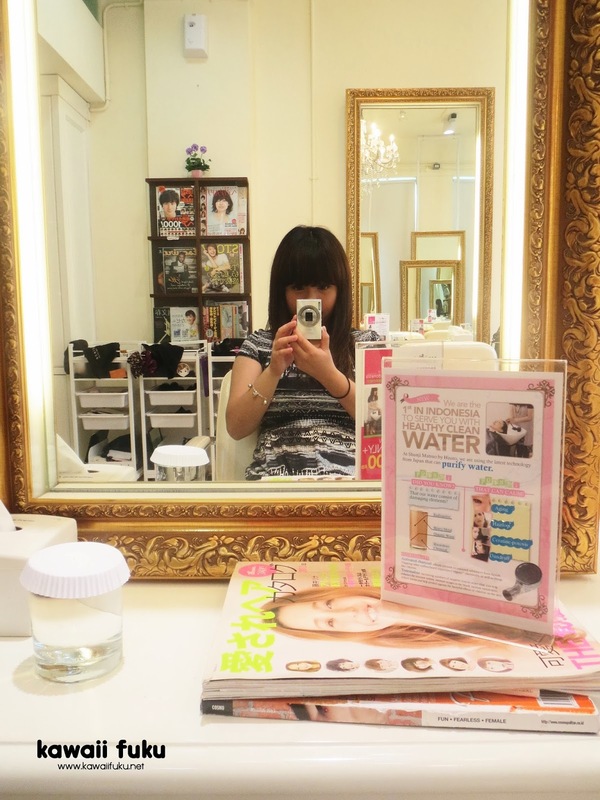 Overall I like One Piece salon. I even got back to One Piece and had a hair cut which done by ms. Pipit on Christmas Eve. For you who loves Japan, you should try to get your hair done in One Piece because there's some Japanese hair stylists there. And don't forget to book before you come here!